Michael Bowman | VOA Aug 10, 2018. 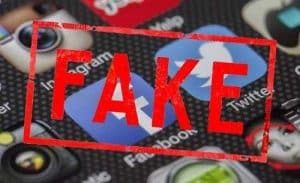 “All of us, left and right [politically], are all very susceptible to being fooled by disinformation,” said Claire Wardle, director of First Draft News, a project at Harvard University’s Shorenstein Center on Media, Politics and Public Policy that provides tools to fight false content on the Internet and social media. “There are many people who are trying to spread misinformation.We all have to be much more skeptical of the information we are consuming and to be aware, particularly if it’s content that makes us have an emotional reaction,” Wardle added. “Russian manipulation did not stop in 2016. After Election Day, the Russian government stepped on the gas,” New York-based Graphika CEO John Kelly said. Political scientist Keneshia Grant may have had a firsthand brush with Russia’s use of social media to inflame racial tensions in the United States before the 2016 election, and believes American voters are still in Moscow’s crosshairs for malign messaging. “There were minority communities targeted. I believe that targeting is still happening and that it has been getting more sophisticated over time,” said Grant, who teaches at Washington’s Howard University, a predominantly-African American institution. Social media companies have trumpeted their efforts to weed out fake accounts and bad actors. While commendable, Grant said it’s not enough. “Americans have a responsibility to know that Russians are attempting to interfere in elections, and then to take the additional steps to figure out where information comes from that they are consuming.Not just consume it, but think about it,” she said. Wardle concurred, but noted that social media trolls exploit a basic human tendency: giving credence to information or messaging that supports one’s outlook or ideology. “People want to believe information that supports their worldview, whether that’s a belief on gun control or immigration or whether you’re more a dog person than a cat person,” she said, adding that counteracting that tendency will require holding people to account when they wittingly or unwittingly spread erroneous content. “If we want to drive on roads that aren’t covered in garbage, we have to take responsibility for not throwing Coke cans out of the window,” she said. “We are asymmetrically vulnerable [to disinformation campaigns] because of the First Amendment and democracy, our whole system is based on information,” Maine independent Senator Angus King said.